Libran astrophysicist Neil deGrasse Tyson offers this observation: "When you look for things in life like love, meaning, motivation, it implies they are sitting behind a tree or under a rock. [But] the most successful people in life recognize that in life they create their own love, they manufacture their own meaning, they generate their own motivation." I think Tyson's simple wisdom is exactly what you need to hear right now, Libra. You're primed for a breakthrough in your ability to create your own fate. Japanese entrepreneur Hiroki Terai has created a business that offers crying therapy. His clients watch short videos specially formulated to make them weep. A professional helper is on hand to gently wipe their tears away and provide comforting words. "Tears have relaxing and healing effects," says an Okinawan musician who works as one of the helpers. Hiroki Terai adds, "It has been said that one drop of tear has the effect of relieving stress for a week." I wish there were a service like this near where you live, Scorpio. The next two weeks will be a perfect time to relieve pent-up worry and sadness and anxiety through cathartic rituals like crying. What other strategies might work for you? Fling out friendly feelers! Sling out interesting invitations! Figure out how to get noticed for all the right reasons! Make yourself so interesting that no one can resist your proposals! Use your spunky riddle-solving powers to help ease your tribe's anxieties. Risk looking odd if that will make you smarter! Plunk yourself down in pivotal places where vitality is welling up! Send out telepathic beams that say, "I'm ready for sweet adventure. I'm ready for invigorating transformation!" "Someone spoke to me last night, told me the truth," writes poet Dorianne Laux. "I knew I should make myself get up, write it down, but it was late, and I was exhausted from working. Now I remember only the flavor." I offer these thoughts, Capricorn, in the hope that they'll help you avoid Laux's mistake. I'm quite sure that crucial insights and revelations will be coming your way, and I want you to do whatever's necessary to completely capture them so you can study and meditate on them at length. As a young man, Aquarian poet Louis Dudek struck up a correspondence with renowned poet Ezra Pound, who was 32 years older. Dudek "admired him immensely," and "loved him for the joy and the luminosity" of his poetry, but also resented him "for being so magnificent." With a mix of mischief and adulation, Dudek wrote a poem to his hero. It included these lines: "For Christ's sake, you didn't invent sunlight. There was sun dazzle before you. But you talk as if you made light or discovered it." I hope his frisky tone might inspire you to try something similar with your own idols. It would be healthy to be more playful and lighthearted about anything or anyone you take too seriously or give enormous power to. In his book Till We Have Faces, C. S. Lewis writes, "Holy places are dark places. It is life and strength, not knowledge and words, that we get in them. Holy wisdom is not clear and thin like water, but thick and dark like blood." In that spirit, and in accordance with astrological omens, I suggest you seek out dark holy places that evoke wonder and reverence, even awe. Hopefully, you will be inspired thereby to bring new beauty into your life. You'll be purged of trivial concerns and become receptive to a fresh promise from your future life. Electra is an action-packed story written by ancient Greek playwright Sophocles. It features epic characters taking drastic action in response to extreme events. In contrast to that text is Marcel Proust's novel In Search of Lost Time, which draws from the sensitive author's experiences growing up, coming of age, and falling in love, all the while in quest for meaning and beauty. Author Virginia Woolfe compared the two works, writing, "In six pages of Proust we can find more complicated and varied emotions than in the whole of the Electra." In accordance with astrological omens, I recommend that you specialize in the Proustian mode rather than the Sophoclean. Your feelings in the next five weeks could be as rich and interesting and educational as they have been in a long time. Honor them! Researchers in Maryland have created a new building material with a strength-to-weight ratio that's eight times better than steel. It's an effective insulator, and in some forms can be bent and folded. Best of all, it's biodegradable and cost-effective. The stuff is called nanowood, and is derived from lightweight, fast-growing trees like balsa. I propose that we make it your main metaphor for the foreseeable future. Why? Because I think you're primed to locate or create your own version of a flexible, durable, robust building block. The U.S. Secretary of Defense paid an official visit to Indonesia early this year. The government arranged for him to observe soldiers as they demonstrated how tough and well-trained they were. Some of the troops shimmied through broken glass, demolished bricks with their heads, walked through fire, and bit heads off snakes. I hope you won't try stunts like that in the coming weeks, Gemini. It will be a favorable time for you to show off your skills and make strong impressions. You'll be wise to impress important people with how creative and resourceful you are. But there's no need to try too hard or resort to exaggeration. i confess that i have a fuzzy self-image. With odd regularity, i don't seem to know exactly what or who i am. For example, i sometimes think i'm so nice and polite that i need to toughen up. But on other occasions i feel my views are so outrageous and controversial that i should tone myself down. Which is true? Often, i even neglect to capitalize the word "i." 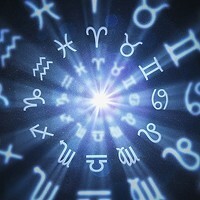 You have probably experienced some of this fuzziness, my fellow Cancerian. But you're now in a favorable phase to cultivate a more definitive self-image. Here's a helpful tip: We Cancerians have a natural talent for inspiring people to love us. This ability will come in especially handy as we work on making an enduring upgrade from i to I. Our allies' support and feedback will fuel our inner efforts to clarify our identity. "I am a little afraid of love, it makes me rather stupid." So said author Simone de Beauvoir in a letter she wrote to her lover, Nelson Algren. I'm happy to let you know, Leo, that during the next twelve months, love is likely to have the opposite effect on you. 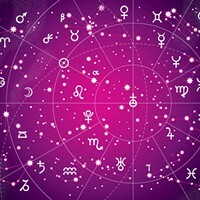 According to my analysis of the astrological omens, it will tend to make you smarter and more perceptive. To the degree that you expand your capacity for love, you will become more resilient and a better decision-maker. As you get the chance to express love with utmost skill and artistry, you will awaken dormant potentials and boost your personal power. Your theme in the coming weeks is the art of attending to details. But wait! I said "the art." That means attending to details with panache, not with overly meticulous fussing. For inspiration, meditate on St. Francis Xavier's advice, "Be great in little things." And let's take his thought a step further with a quote from author Richard Shivers: "Be great in little things, and you will be given opportunity to do big things." Novelist Tom Robbins provides us with one more nuance: "When we accept small wonders, we qualify ourselves to imagine great wonders."